Apple’s App Store has a good number of apps. But, several apps are not available on the App Store. Apple has removed the app for policy violation. Some of those apps include PlayBox HD, a movie streaming app, Spotify++ a modified version of premium Spotify app and more. One to way to download these apps outside the App Store is to install Cydia. However, installing Cydia requires a jailbroken iOS device. 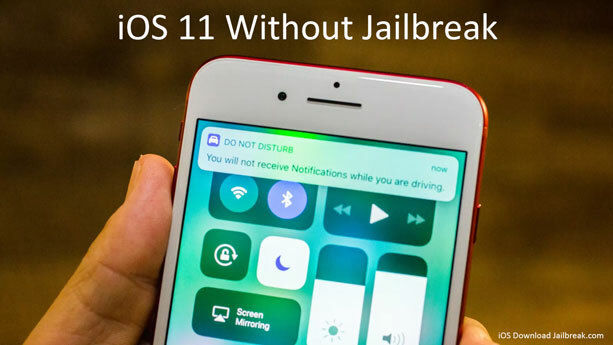 What if you don’t want to jailbreak the device? You can still install third-party paid cracked apps for iOS for free using Cydia alternative apps. Though these apps do not offer all the features of Cydia repo, they do provide most of the features to the users. Here is a guide to download Cydia alternatives apps like iOSEmus, iTransmission, iFIle, Airshou for iOS. iOSEmus is one of the best alternatives to Cydia. The users can download emulators and apps from the iOSEmus for free. Popular apps like MovieBox, PokeGo++ 2.0, Pokemon Go tweaked, and Spotify++ can be downloaded using iOSEmus on iPhone and iPad without the jailbreak. We have a detailed guide on how to download iOSEmus for iOS without jailbreak. If you are in a hurry, below are the quick steps to follow. Open the Safari browser on the iPhone. Go to iosem.us and load the page. Scroll down and tap on Cydia alternatives. Find iOSEmus and tap on Install button. If a popup appears, tap on Install button at the top right corner. Tap again on Install button and wait for the installation to complete. iTransmission is a native bit torrent client for iOS devices. The good thing is the app works on non-jailbroken devices as well. The backend transmission of the app is similar to the backend transmission of bit torrent client for Mac. The app works on all the iOS device including the iPad, iPhone, and iPhone. It also offers magnet and torrent link download. Built-in web browser for searching torrent and more. Other features in the app include the ability to control download and upload speed of any torrent, export option to move the downloaded torrent files and resume option for torrent files. iTransmission is the go-to app for anyone looking to download large files from the internet. If you own an iOS 11 device, you know that it does not have an inbuilt file management app. The iFile management app allows you to manage files from anywhere. You can manage files on the local drive or iCloud drive. It even comes with third-party cloud service support. Earlier the app was only available for jailbroken devices, but now you can download the iFile app on iOS 11 without jailbreak. Airshou is one of the best iOS screen recorders you can install on an iOS device. The app allows the iPhone and iPad users to record gameplay or video tutorial using the iPhone and without the need of PC or external application. The app is simple to use with a Start button and stop button. The red banner on the top of the app indicates the app is recording. You can also move the screen recordings to Camera roll and edit the video. We have a detailed guide on how to download Airshow App for iOS 11 without jailbreak. Follow the link to know how to install the app. You can also download BB Rec screen recording app for iOS without jailbreak.